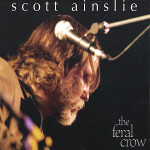 Brattleboro, Vermont-native Scott Ainslie is a country bluesman of the highest order. 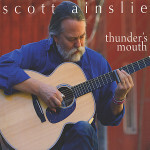 Armed with only his superb voice and a 1930s era Gibson L-50 archtop acoustic, Ainslie deftly weavs his way through these fourteen tracks that include one original (“Late Last Night”) along with outstanding renditions of songs by Mississippi John Hurt, Robert Johnson, Irving Berlin, Oliver Wallace & Ned Washington, Reverend Gary Davis, Fats Waller, and Yip Harburg & Harold Arlen. At times on The Last Shot Got Him, Ainslie’s sound will remind listeners of the great acoustic bluesman, Keb’ Mo’. 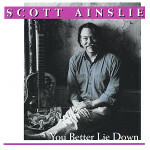 But make no mistake, Ainslie is his own man and makes no concession of trying to emulate Keb’ Mo’. It is only their style and delivery that parallels one another’s. Scott Ainslie is a veteran touring pro who is frequently found performing in venues up and down the East Coast. With a warm, affable persona, and a wealth of musical knowledge, I highly recommend checking him out when he comes to a town near you. You won’t be sorry. 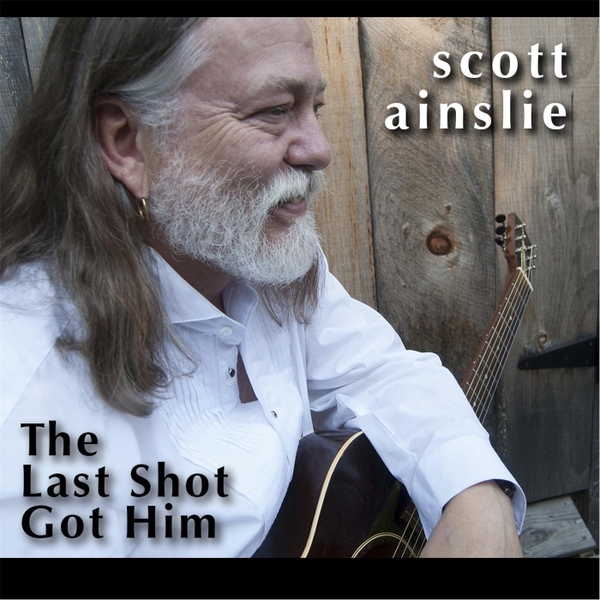 “The Last Shot Got Him” is a project by Vermont singer/songwriter, guitarist/historian Scott Ainslie that was put together over the love of an instrument. The guitar in question was a unique 1934 Gibson archtop, which a friend played for Ainslie. The material on the disc all dates from 1928-1941 with the exception of the Ainslie original “Late Last Night” from 2008, which is based on the Russian invasion of the country Georgia. That tune, though, has the feel of one from the 1930’s and blends in with the rest of the material. Closing out the proceedings is a heartfelt version of “Over The Rainbow” from “The Wizard Of Oz.” While it won’t make anyone forget Judy Garland (to tell the truth, nor Livingston Taylor’s stab at it), it is great hearing this magical tune (which the stupid suits at MGM almost left out of the flick until saner, smarter voices prevailed). Don’t let the Devil ride. No, don’t you. Don’t let the Devil ride. If you let him ride, he’ll take over and drive.